As you all know the internet is a widely used tool for both teaching and learning. It is common for students to participate in online courses due to their ease and flexibility, however; recently one type has become increasingly popular, a Massively Open Online Course (MOOC). A MOOC is very similar to any other online course, but it has open access to unlimited participants (regardless of their level), interactive elements, and in most cases, is free. The MOOC which I took part in was called the ‘Archaeology of Portus: exploring the lost harbour of ancient Rome’ which was set up archaeologists from the University of Southampton. 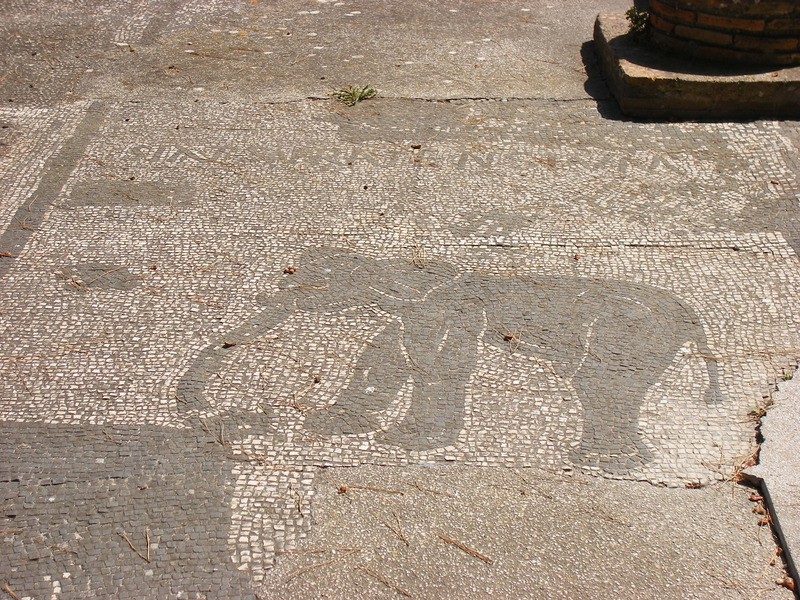 The course follows the archaeological discoveries found on the Portus Project and how these show a glimpse of life in Portus, one of the main ports of ancient Rome. Portus was the ‘hub’ that connected Rome to the rest of the Mediterranean. It was a bustling place and has been one of the best preserved areas, and thus this gives historians a clear insight into Roman society. The MOOC includes a variety of resources ranging from videos, quizzes, articles, maps and photographs and therefore, the participant is very involved with the course. The highlight of the Archaeology of Portus MOOC was the interactive elements to it. The regular videos embedded you into the project and helped make it seem very real. As well as this, the quizzes were very helpful to testing your knowledge at the end of the week to ensure that you took in the information. What I enjoyed most about this MOOC was that it linked closely to social media platforms such as their Flickr, Twitter and blog. Even though the MOOC had the opportunity for discussion via chats and social media, I felt that it lacked real in depth discussions. An open forum for participants to ask questions about Portus would help the MOOC to become more engaging for the students. I also thought that the course began very simply which was not challenging enough for me personally, but this is understandable due to the course being open to anybody at any level. I think MOOC’s are hugely beneficial to those who may want to study in their own time you only need to dedicate a few hours a week to each one. Personally, I would use them again if there was a topic I was fascinated by. Additionally, I would use one if it was useful in my degree to providing additional background knowledge. If you are interested in MOOC’s and would like to see an extensive list of those available, click here. 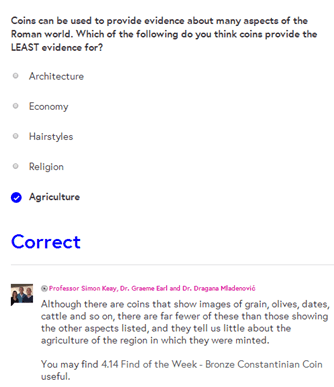 This entry was posted in E-learning, history, Making Digital History and tagged Ancient History, e-learning, MOOC, online learning, Roman Empire, Roman history. Bookmark the permalink.